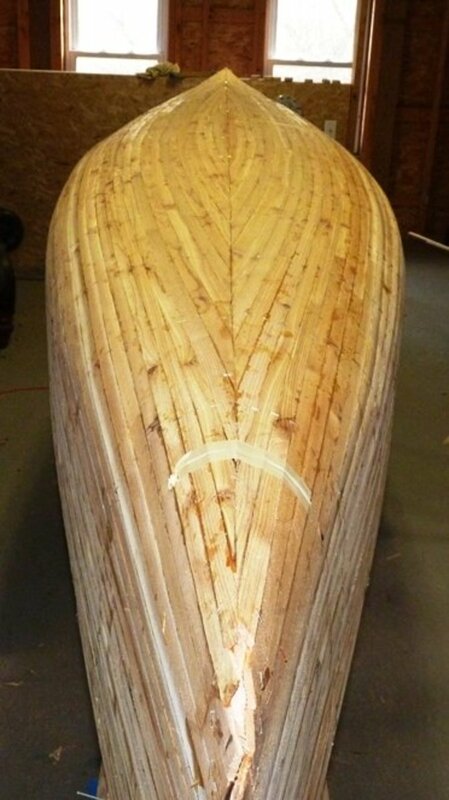 The hull is stripped, the stems are attached and it looks pretty rough. Now begins what seems like a never ending process of sanding. 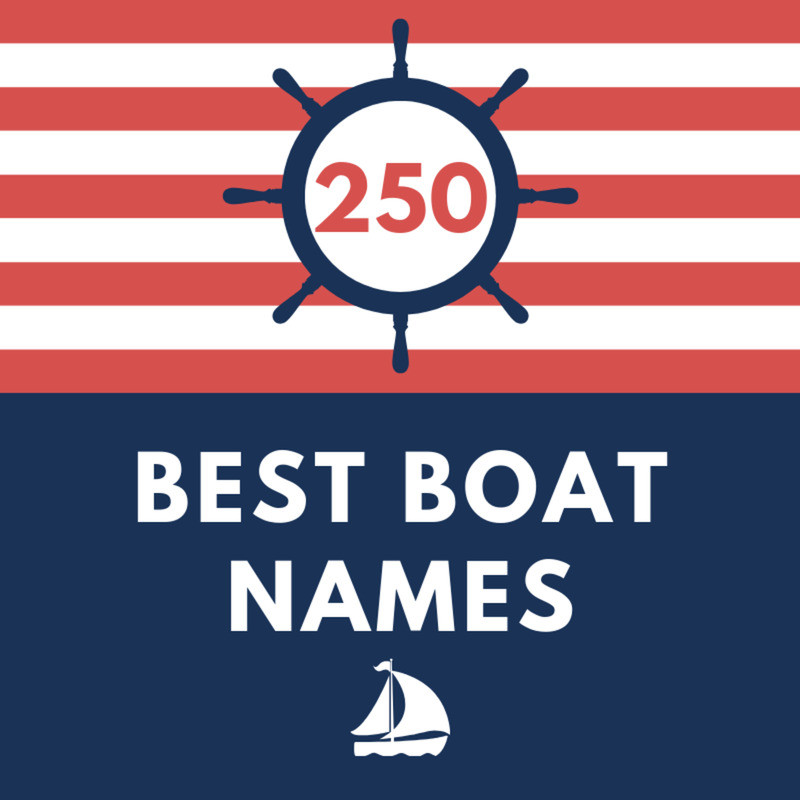 You will want to get the hull, especially the outside, as smooth as possible. 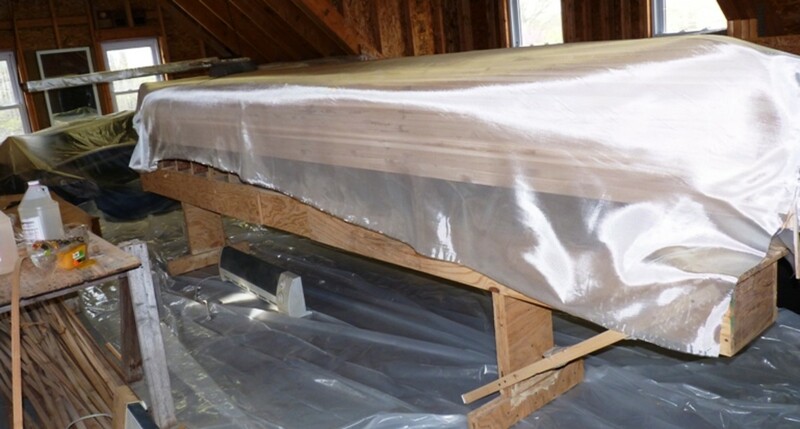 It will make laying the fiberglass cloth and applying the epoxy less difficult. Not to mention that it will look nice. Where the strips come together when forming the curve of the hull there will be an edge that needs to be taken down. 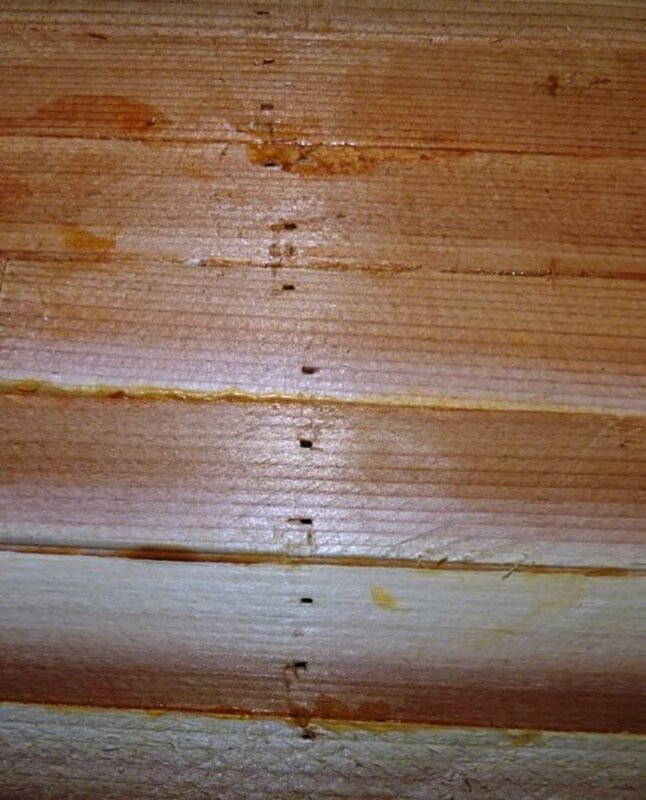 There will be other places where planks don’t fit together perfectly because of inaccurate milling or twisting as they run the length of the hull. 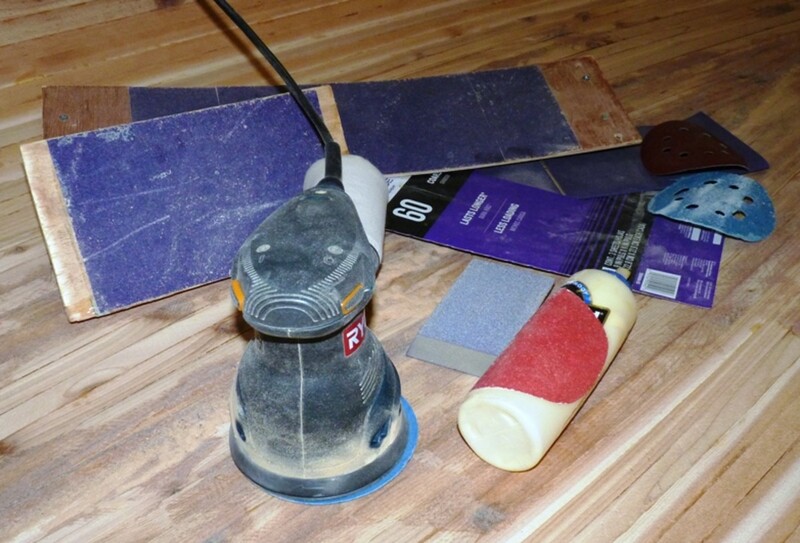 These can leave depressions, ridges, gaps or other imperfections that will have to be corrected or compensated for by sanding, planning, filing patching and more sanding. 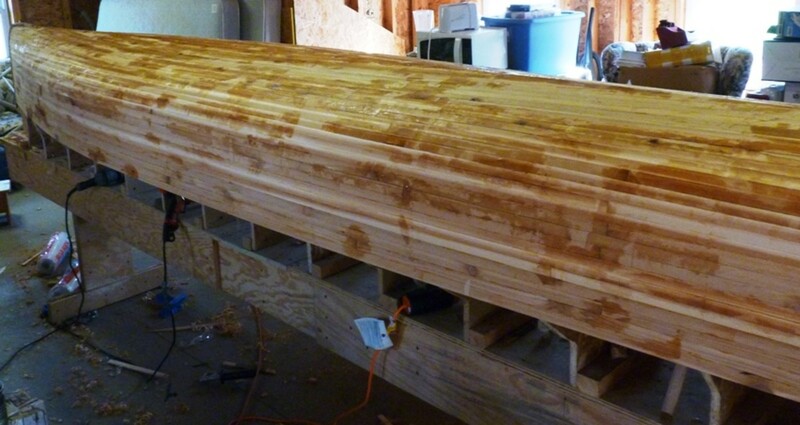 Starting with the outside of the hull, the first step is to plane down any obvious ridges or high spots. On this boat I did not use a conventional block plane much. 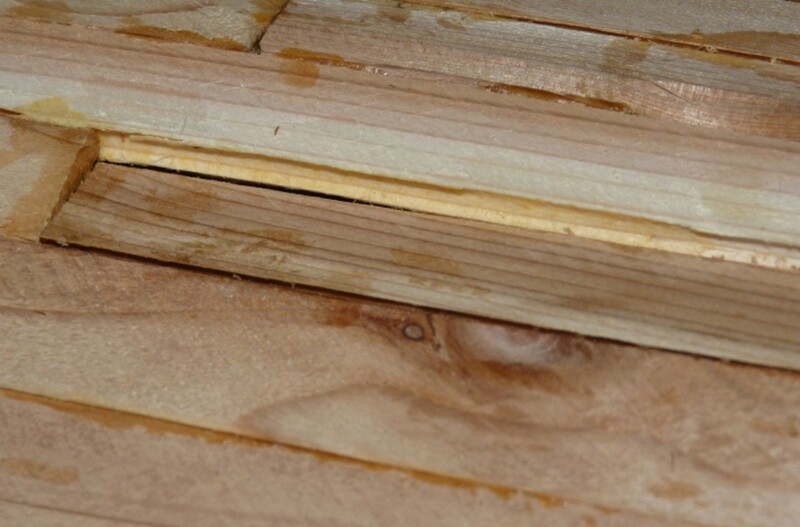 I did have many planks that were slightly higher or lower than the neighboring plank. They need to be taken down to the same level. In the past I used a sharp block plane angled across the grain to shave the strips to the same level. 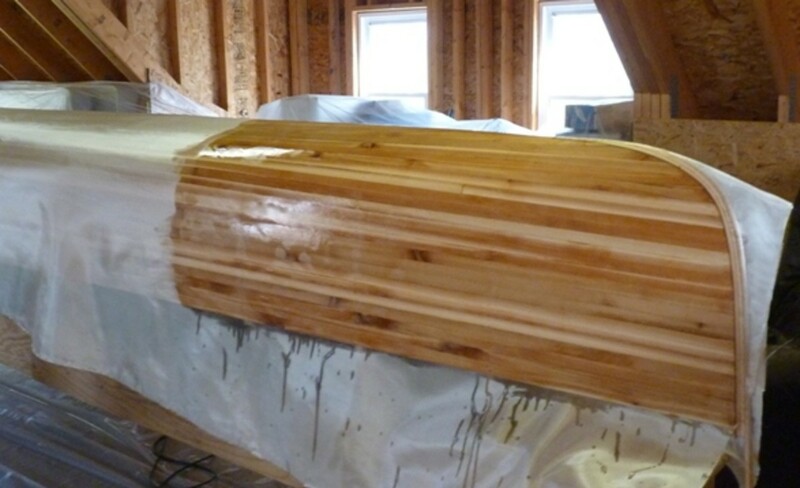 Care must be taken not to create a big gouge in the soft cedar. This time I used a sure form plane. It is more controllable but it can leave more scratches that needed to be sanded out. 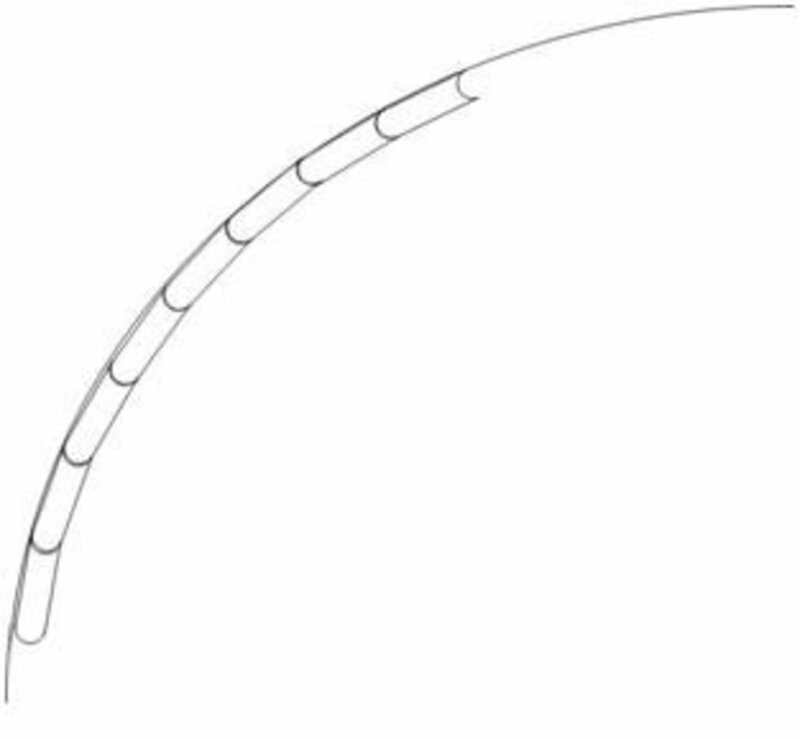 This got the hull shaped into a rough feeling but fairly continuously curved shape. Patch any missed areas with thickened epoxy and allow to harden. ROS sand again with 60 grit. ROS sand with 120 grit. 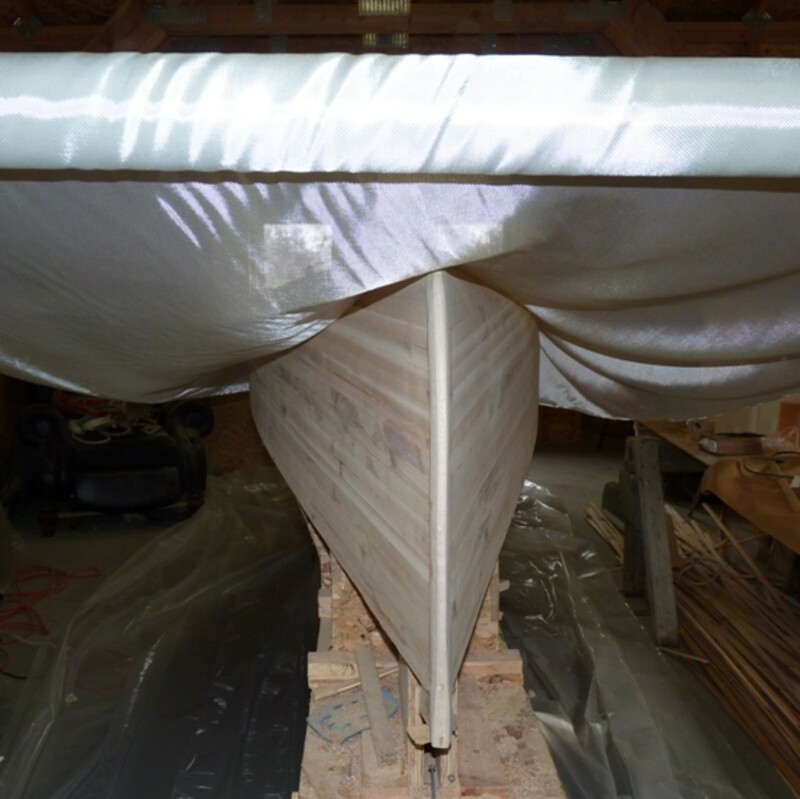 After you are satisfied or tired of sanding it will be time to apply the fiberglass and epoxy, then flip the hull and repeat the process all over again on the inside once the epoxy on the outside is hard. There are some specialized homemade tools I used for sanding. 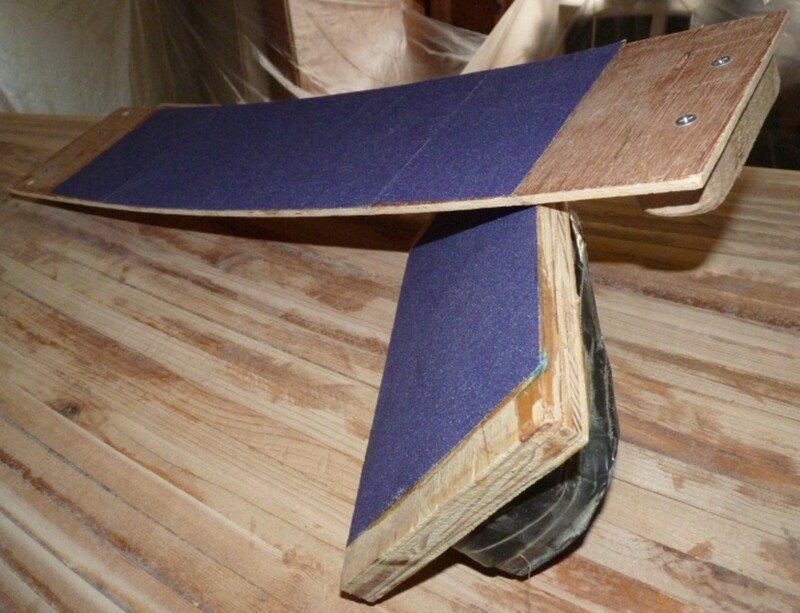 To help shape the curve of the hull I made a sanding board of ¼” plywood(paneling) about 6 inches wide and 2 feet long, with a handle attached to each end. On the other side I used rubber cement to glue ½ sheets of 60 grit. 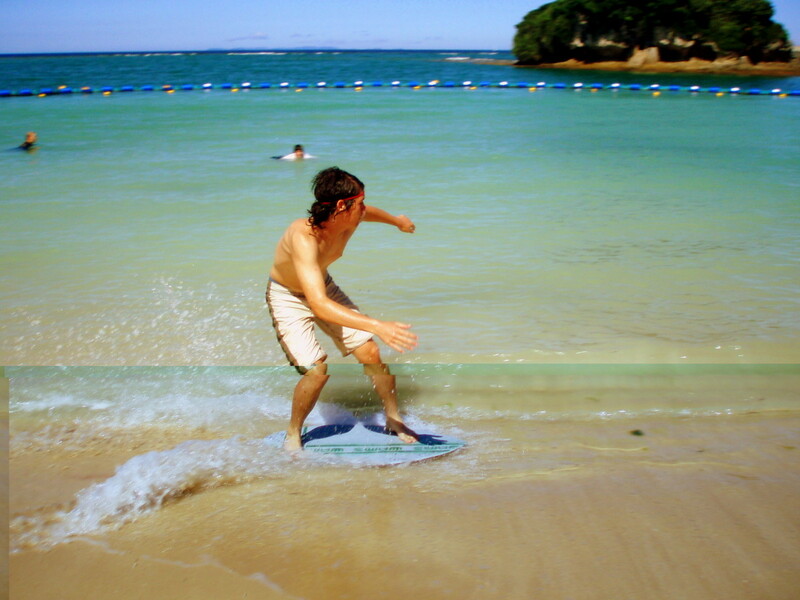 Using rubber cement allows the worn sandpaper to be replaced with fresh. 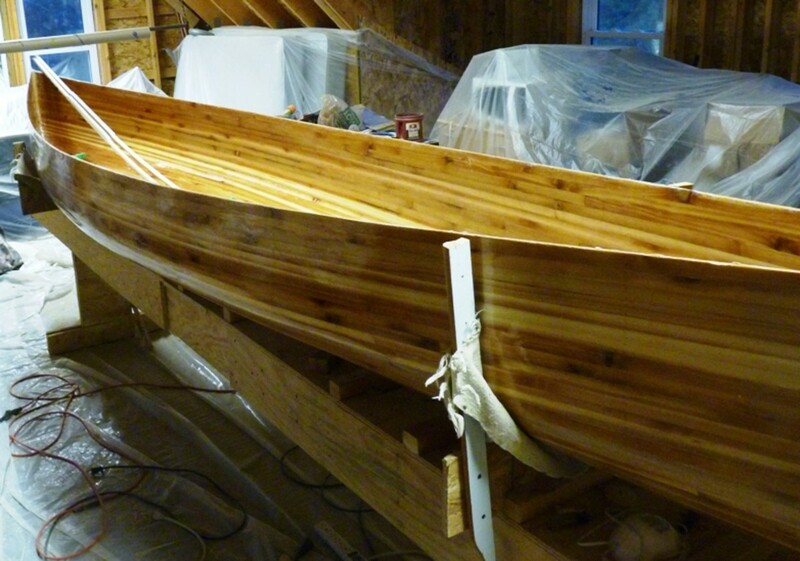 The board flexes and bends around the curves in the hull. I also made a large flat sanding block from thicker plywood for the bottom and sides with ½ sheets of sander attached the same way. For the inside curvature of the hull I use some sandpaper discs with an adhesive backing wrapped around a Titebond II glue bottle. The inside is more difficult to sand and consequently I reached the “good enough” point much sooner. There are other manufacturers that make epoxy resin like West System, RAKA, MAS, East, System Three and others. 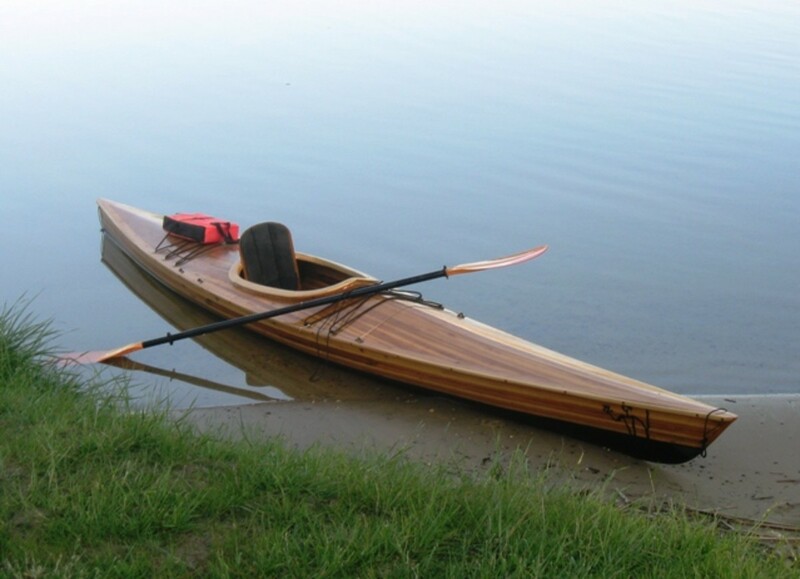 I have used US Composites on all three of my boats. I chose it because it was less costly than the other systems and I’d heard of other builders using it. 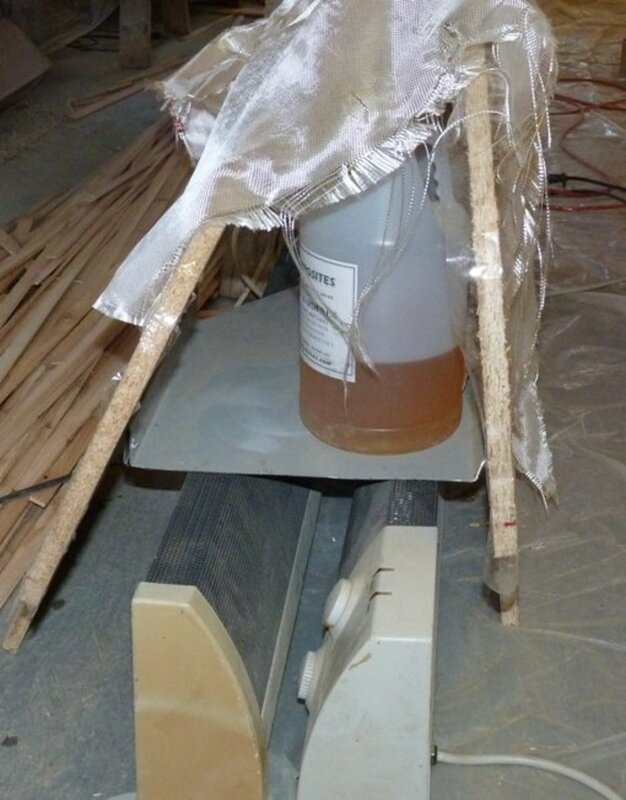 From my experience I found that it is best to apply this epoxy in a warm environment, say 70 F and above. 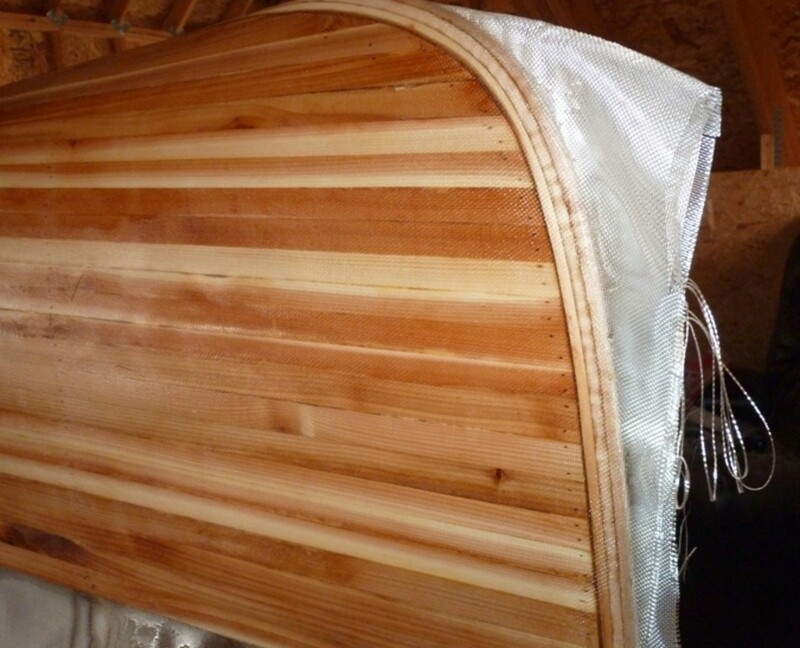 For the outside of the hull I started when the temperature was in the low 60’s but I had an electric heater under the hull and the jugs of epoxy. By the time I finished the second coating the temperature was near 80F. 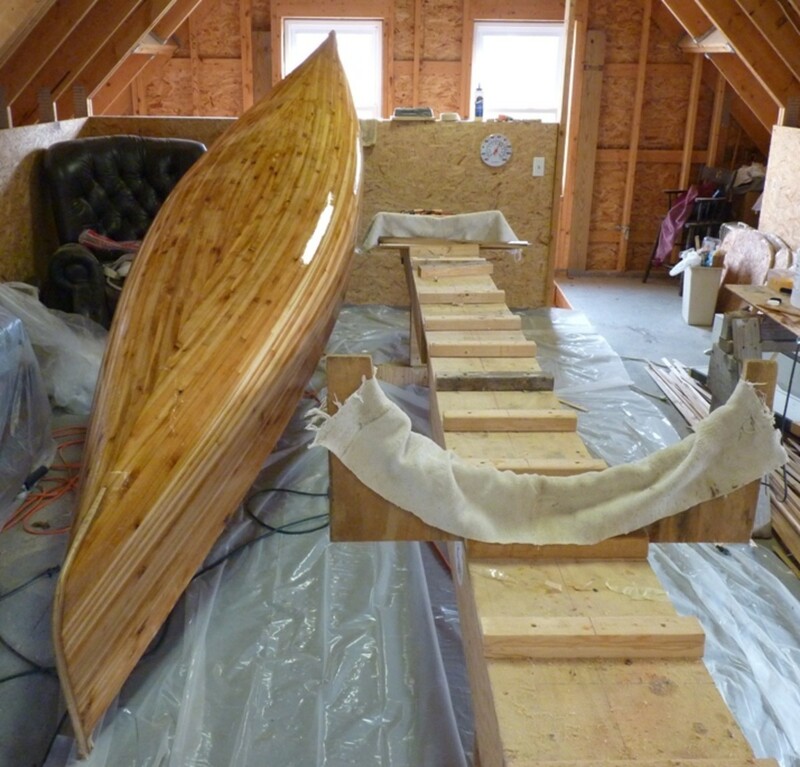 The warm temperatures help the epoxy to flow much better and it is easier to work. 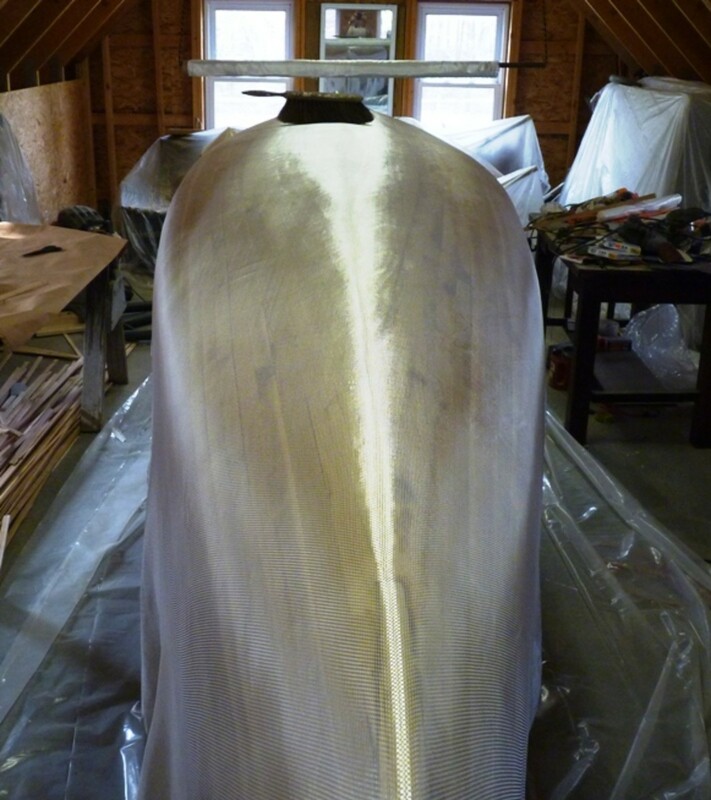 I started coating the inside of the hull when the temps were in the 50’s and even though I heated the resin and hardener first, it was difficult. The cloth on the inside ended up with several small bubble like welts. I don’t think there is significant air trapped in the bubbles, mostly hardened resin, the defects are mostly cosmetic. 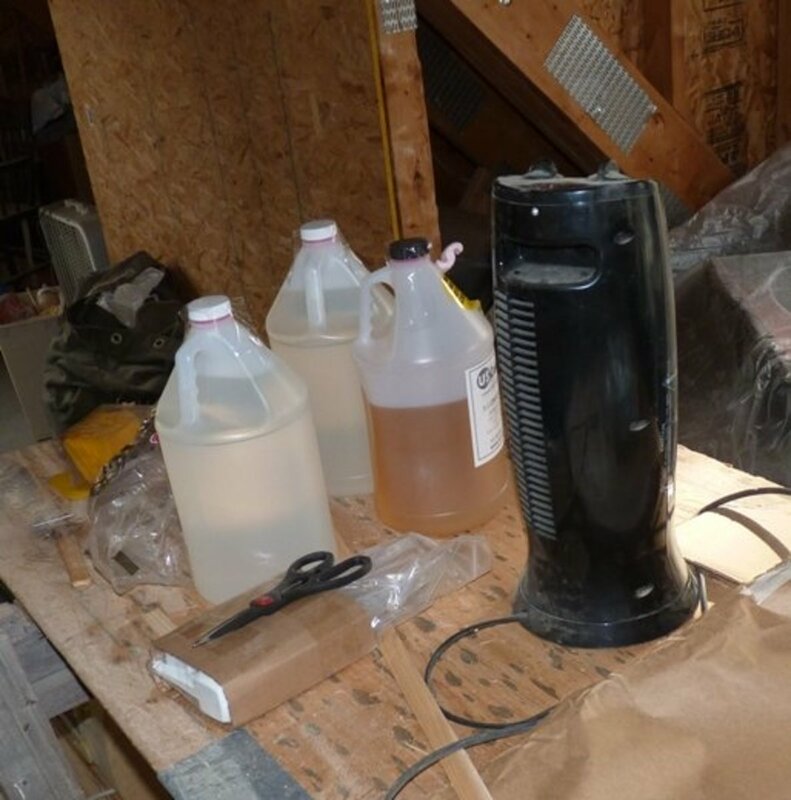 I think if I could have waited till it was warmer, the epoxy would have flowed better through the cloth when it expanded from the heat created during curing and allowed the air to escape. 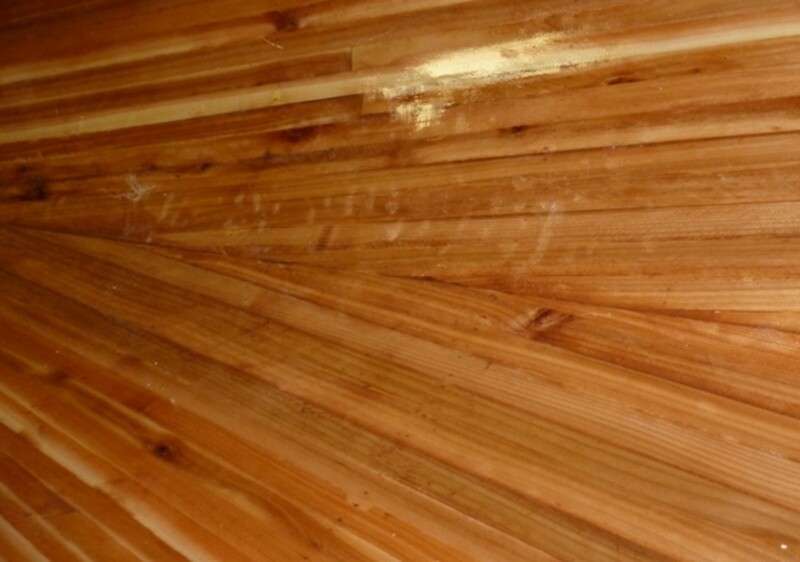 The epoxy is applied in three separate coatings. The first is to wet the cloth and soak into the wood. The second is to fill the weave of the cloth and the third is to bury the cloth. It should be applied in small batches and care must be taken to ensure each batch is mixed properly. Applying resin with no hardener can be disastrous, I know! Each coating should be allow to cure to a tacky feeling but not long enough to be come thoroughly hardened. A few hours is enough, depending on temperature. If you wait too long you will need to sand between coats to create a mechanical bond, as a chemical bond is no longer possible. 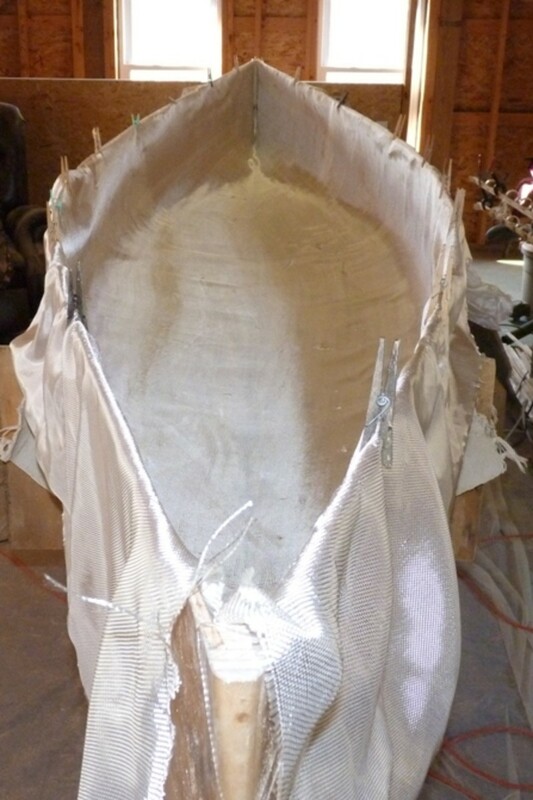 I applied the first batch about three feet from one end of the boat to anchor the cloth. It was applied with a brush in liberal amounts, alternating from left side to right side or vice versa. It is important not brush with too much pressure trying to force resin into the cloth and to bush from wet side to dry to avoid having the cloth bunch up. 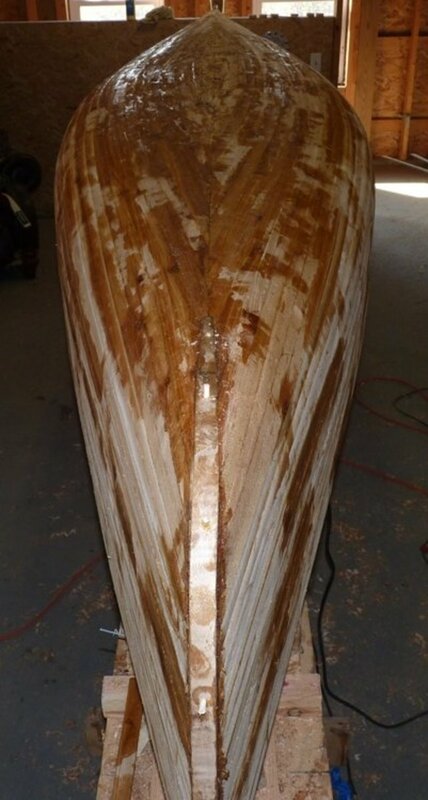 Once a small section of cloth was wetted on each side of the hull, I wetted the 3-4 foot section to the end of the boat. 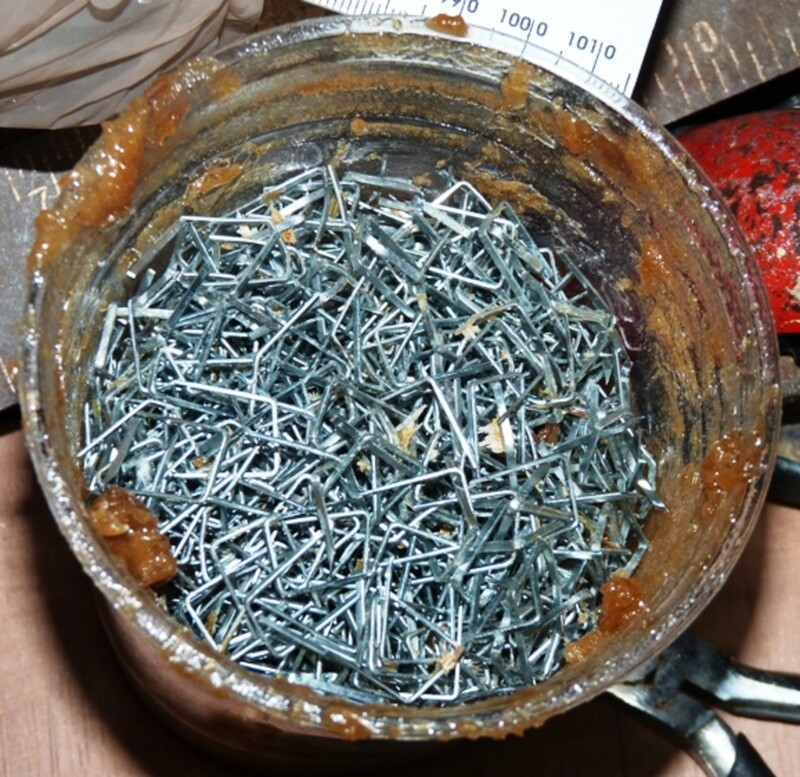 The epoxy should then be squeegeed to ensure an even coating and remove any excess resin. The strategy is to allow enough time for the resin to soak in (about 20 minutes) before it is squeegeed. I applied a batch, right side and left, then went back to squeegee the previous application. This worked out to close to 20 minutes. On the initial coating the angle of the squeegee is steep enough so that your thumb is almost dragging on the cloth. Firm pressure should be applied but too much can cause the cloth to pull and bunch up. On the second and third coating I held the squeegee closer to perpendicular. 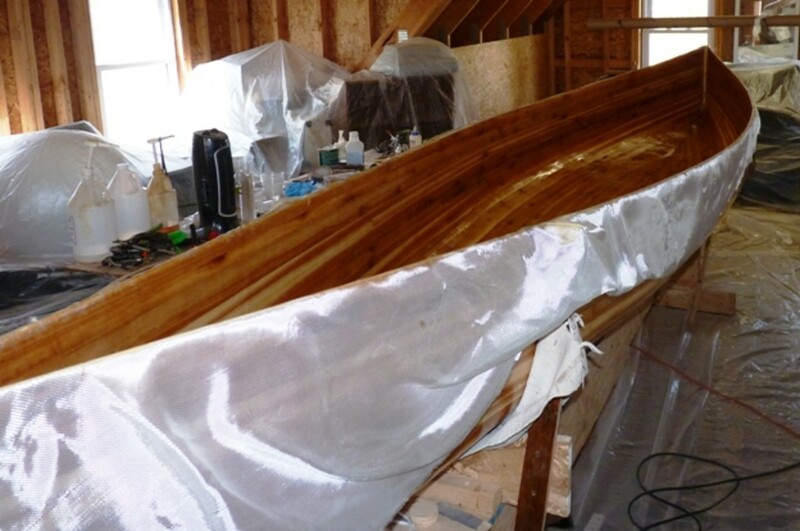 The outside of the hull has 3 coats of epoxy, the inside, two. 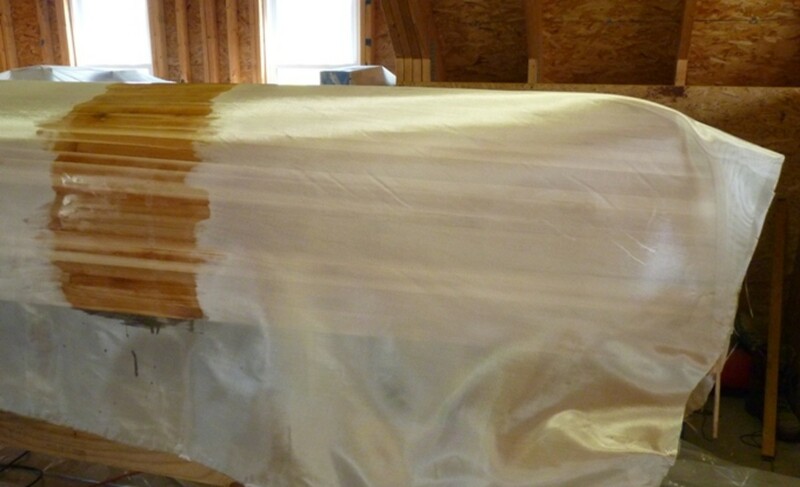 Once the epoxy is fairly stiff, the extra cloth can be trimmed with a utility knife. Once you start, be ready for a long day! 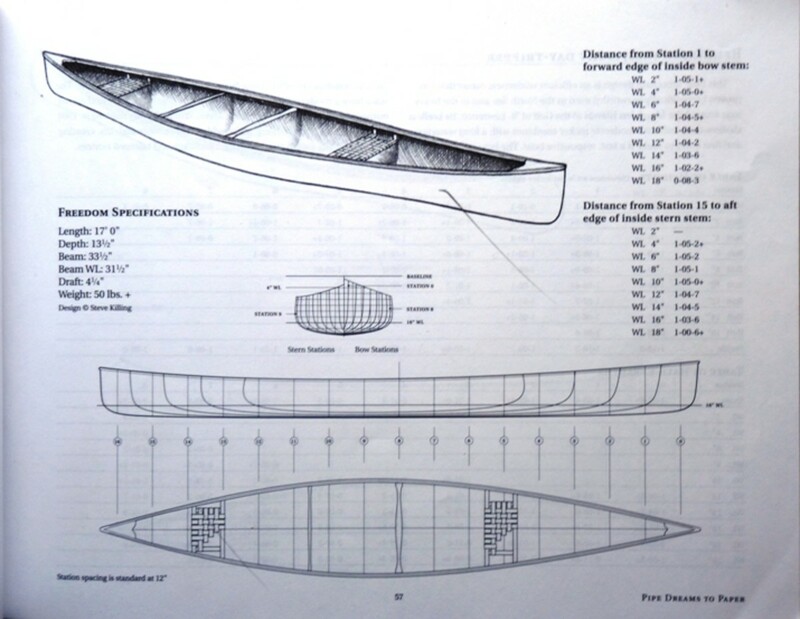 A description of how to create the a jig for making a stip canoe. Making the Forms. 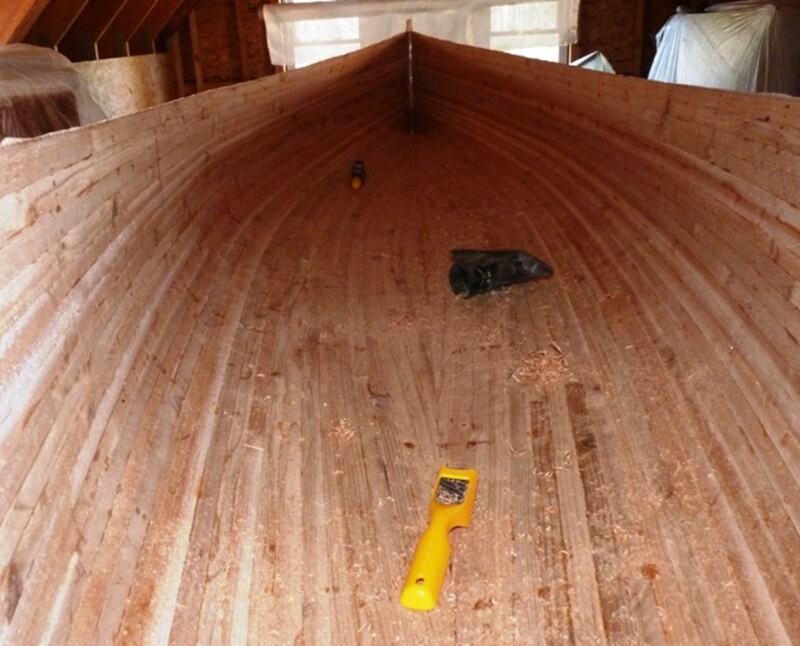 Expansion of "Building a Cedar Strip Canoe: The Basics". More details this time. Thanks for the answer. It's back to the ROS for the next few days for me! Hi John, I sanded off as much of the excess that I could. Some of it will end up kind of blending in as far as color goes. I did use silica, but not all the time, just where I thought I needed extra toughness. After you did your patching, did you sand off the extra epoxy to clean up the area around the patch? From your pictures it looks like you left some behind, but I can't see any evidence of it in your finished photos. I have just finished up my patching and am now wondering if I made a mistake by being too sloppy with getting excess epoxy on the hull. Also, did you use any silica? 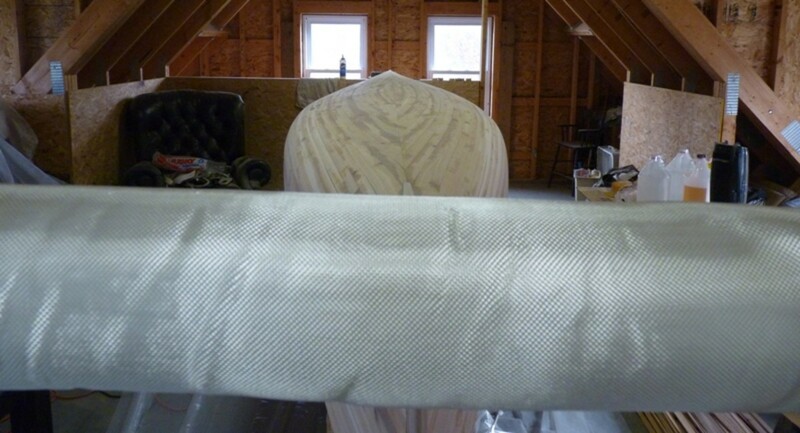 I did, and I'm thinking that might also make a difference in how obvious it'll be under the fiberglass. Thanks!! 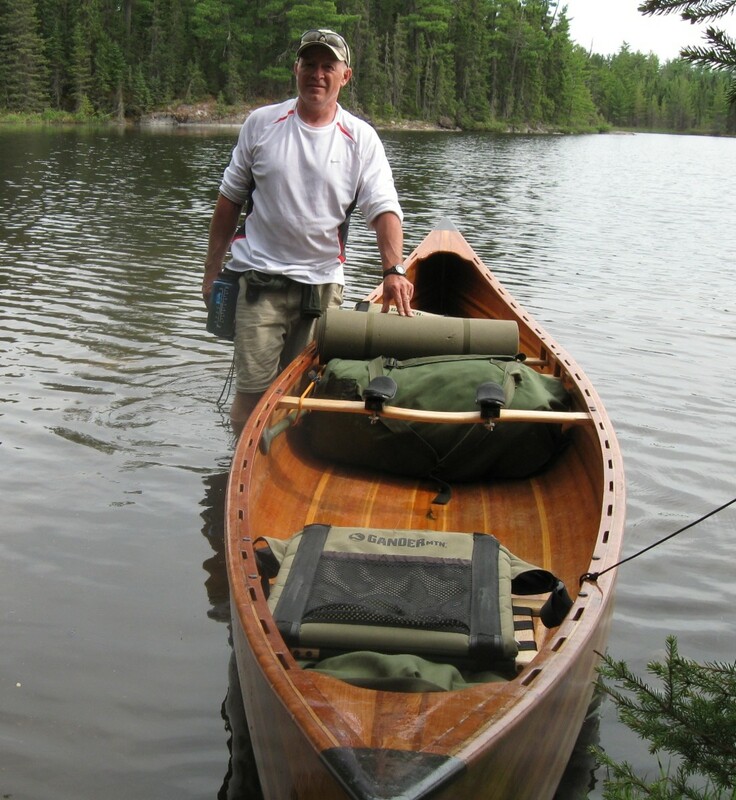 Thanks Dan - I'm making a push to get it done by mid-May for a fishing trip in Quetico with my son. I started in Feb. and I'm almost done but I've skipped much of the fine detail just to finish in 3 months. 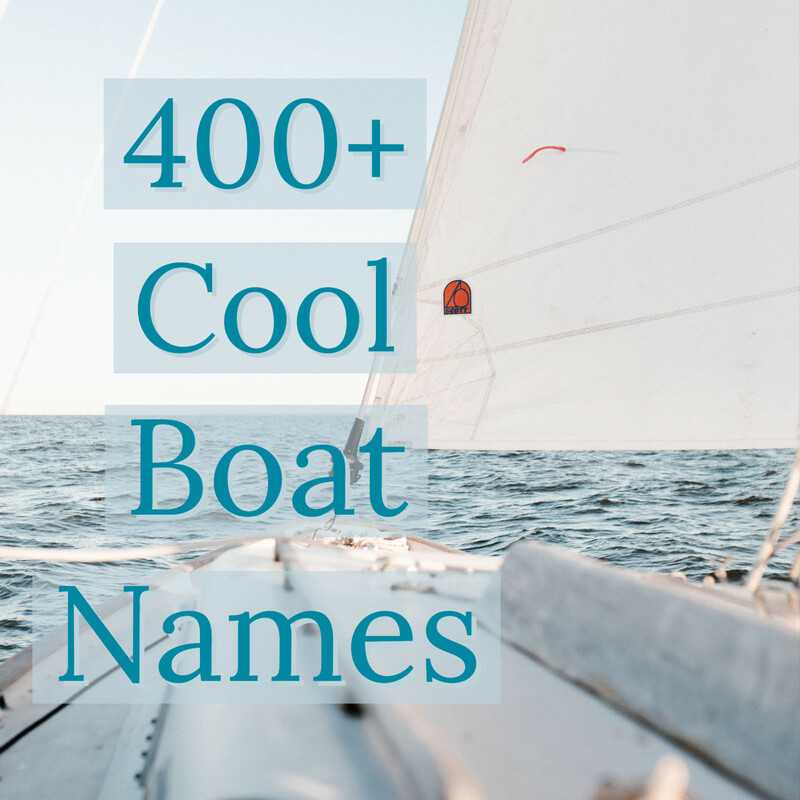 Another great Hub in your series and more great pictures of your beautiful boat. Awesome!